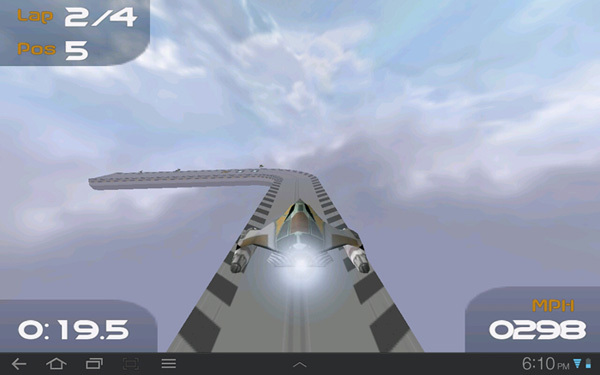 Osaris Games has developed a couple of 3D games for Android already named JumpyBall 3D and SpaceChallenge 3D. Both of those games are pretty good 3D titles to play but it seems as though Osaris Games wanted to come out with something better. Combining all that they have learned, they released TurboFly 3D. 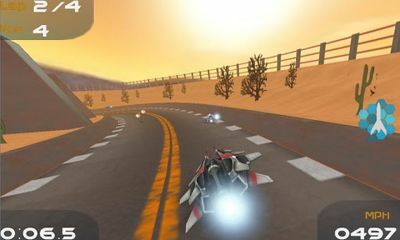 TurboFly 3D is a futuristic racing game which offers up some great graphics and really good handling of your racing ship. The goal of the game is to become the best and as you progress through each track, you will unlock new ones and new ships to use.